Factory of Development is a complementary program to your academic training, individual and personalised. Through this program will be able to form part of a process of improvement of your personal and interpersonal competitions, that will allow you establish the bases and obtain tools for your academic and professional future. In Factory of Development go to work in identifying, define and concretise with clarity your aims and put during the university stage, in addition to deepening on your fortresses and areas of improvement. You will establish where you are, to where want to direct you and you will define how you go to do it, assuming the responsibility of your own decisions. Besides with this work go to identify your values, your personal vision, your public image and how improve your emotional intelligence, appearances that go you to help to increase your skills and to decide in what new competitions need to work to obtain better results. 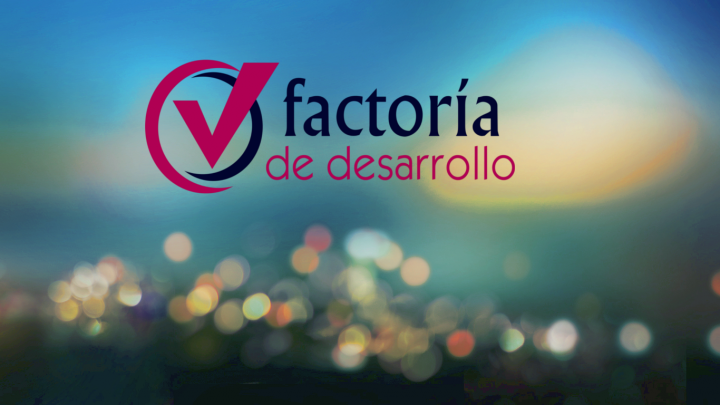 ¿Who can participate in Factory of Development? During the second edition of the program will link to the process a total of thirty students of the University of Alicante. ¿How it goes to select to the/ace participants? The selection of participants will realise in order of registration, besides, will be necessary to fill a questionnaire on the interests and interest to participate in the program. Subsequently it will llevar a personal interview of motivation. From the information recopilada with these tools will obtain the definite listing of selected/ace. All the information obtained so much in the application as in the back processes will have confidential character; this confidentiality will remain established by means of the signature of a specific agreement. ¿How it will develop the program? PHASE 1 - Identification of the starting point and definition of aims. PHASE 2 - Determination of the Plan of Action. PHASE 3 - Follow-up of the evolution and definition of milestones on the Plan of Action in base to his development. During this time, and roughly each 20 days, will realise face-to-face and individual sessions of an hour and average with each one/to of the participants to work the development and follow-up of the process of improvement. Between the face-to-face sessions will keep contact by email to review the actions llevar. Period of registration: Of 15 September to 15 October. Interviews: they will be realised during the second fortnight of October. Development of the program: From principles of the month of November until finals of the month of May. ¿Who will accompany you during all the program? Civil servant of the University of Alicante, with experience in places of direction, gestión of teams and gestión of projects. Coach Prof. Senior AECOP. CS 137 (more than 1200 hours in processes of coaching executive), Máster-Practitioner PNL. Training in Emotional Intelligence, Reuven Baron and Neuroemoción, Marta Ligioiz. Coach Executive and Formadora in coaching of teams (University of Alicante, Schools of businesses, companies, schools). Member of the Spanish Association of Coaching Executive (AECOP) Raise. Current place: Managing Boss and Coach executive in the Service of Prevention of the University of Alicante. Professor Collaborator Honorífica of the Dpto. Of Sociology I of the University of Alicante. Director of the project Develop strategic and personal leadership-professional of students in the University of Alicante. Member of the network of investigation in university teaching: Learn and undertake. Actions of promotion and development of academic competitions, professional and personal between students of Sociology. Other busy places, previously: Manager of the Digital Workshop of the Or.To., Manager of the Virtual Library Miguel de Cervantes, Boss of Cabinet of the Rector of the University of Alicante. Coach Executive and strategic, certified by AECOP CP 109. Register Fundesem CEF: 8. Máster Pratitioner PNL. Experience in processes of coaching individual and of team, in processes with emprendedores and with educational personnel. Coach Member of the branch solidaria of AECOP. In the actuality, collaborator in Aquora Business Education like coach. Of particular form, developing a project in team on PNL. Coordinator of the Club of Coaching Fundesem from his start until the past year and collaborator in this School of Businesses like tutor and like coach of students of the Máster of Direction of Human Resources. Co-Author of the book " Coaching in action: The box of tools of the coach". Wide experience managing the labour path of the people of the Freezing group Alicante, like director of Human Resources and member of the Council of Direction of the group of companies to date of the retirement , in 2012. Teacher, Technician of Tourist Companies, graduate in Right, Máster of Direction of Human Resources. In learning contínuo.